We were so excited when Living Proof asked us to come in to a salon where their products are carried to put them in the test. Jenna was the lucky girl chosen and of course brought a long her best girl Lolly and a camera to document her experience. We hadn’t heard much about the products before but now we’re hooked. Jenna is more of a naturalist, but she learned from the educated Stylist, Rachel, that when you use GOOD products your hair style lasts longer and is healthier. Two things we busy moms are always looking for! What’s super cool (and mind-blowing) about Living Proof is they’ve literally created a molecule that is incorporated in their products that promotes healthier and fuller volume hair. Pretty insane and you can read more about the science here. Rachel first started out by washing Jenna’s hair with Living Proof’s Restore Shampoo and Conditioner. Going blonde can damage hair so it was the perfect solution to that problem! She also suggested using the Living Proof Hair Mask as a treatment to restore your hair once a week! Next up is this Blowout Styling & Finishing spray which incredibly protects your hair against up to 450 degree heat should your hair style ever require being on fire. 😉 And because Jenna typically does her hair in waves she wanted to try her blow-out straight so Rachel used Living Proof’s Straight product which acts as another heat protectant and shines up the hair for a perfect straight look. Rachel finished up the hair with the Control Hairspray which has a great hold but doesn’t feel sticky or crunchy! We hear you – “How hard is it to have great hair at the salon?” Not hard. So check back next week to see how Jenna is using the products at home to achieve killer results on her own! 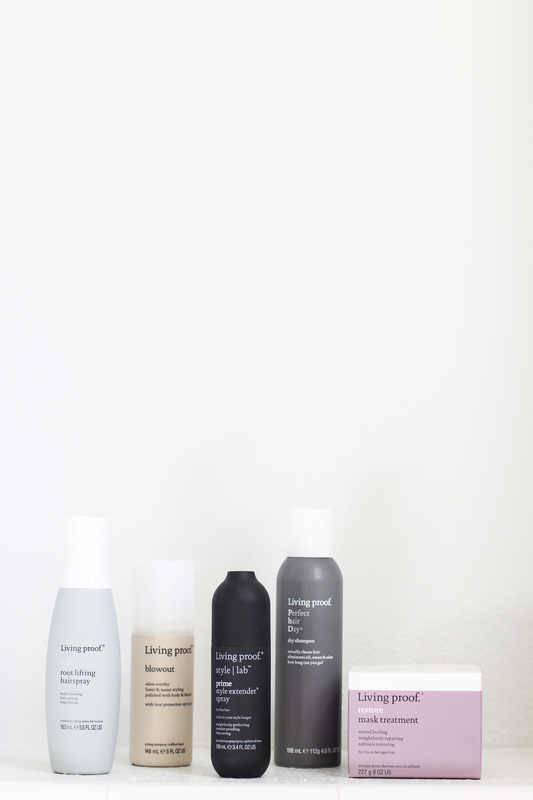 Thank you to our sponsor Living Proof for introducing us to your beautiful products and inviting us to participate in the #yourbesthair initiative! Hi Jenna thank you so much for coming to see us a Shear Envy Salon. I just wanted to make sure everyone knew that Tachel is the one that you saw. Not Kirstin. Thanks for the info, not sure how that happened! I’ve been going to Rachel for over a year. I like her so much I drive up from San Diego. I really think it’s a shame you didn’t get her name right. Thanks for the info! Not sure how that happened.